Unlike Spotify, there is no Apple Music app for Android TV. However, you can still play content from external storage on your Android TV. You can download and store Apple Music songs to a USB drive, but there is one problem: Apple Music songs are DRM protected and can not play on non-Apple devices (except for Android phone). To play Apple Music songs on Android TV from external storage, you need to remove DRM first. Here we will recommend Ondesoft iTunes Converter, which allows you to easily remove DRM from Apple Music songs without downloading them and output DRM-free MP3, M4A, etc. This article will show you how to remove DRM from streaming Apple Music songs and play them on Android TV. 1. 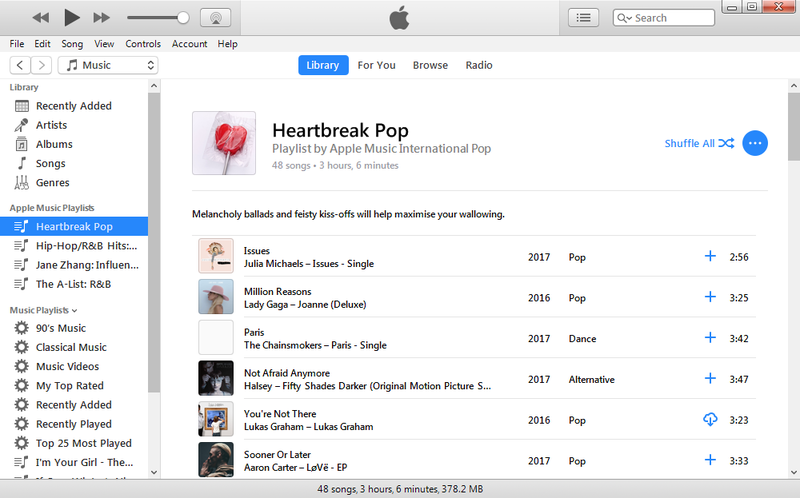 Download, install and run Apple Music Converter for Mac or Apple Music Converter for Windows . On the interface, you will see the entire iTunes library is automatically loaded. Apple Music converter can not only remove DRM from Apple Music songs, but also DRM protected songs purchased from iTunes Store before April, 2009 and Audiobooks from iTunes Store or Audible. Tick the Apple Music songs you want to remove DRM from. Make sure Apple Music tracks, albums and playlists you want to remove DRM from have been added to iTunes Library. You don't need to download them. Click Convert button to start DRM removal. Before that, you can choose output format from MP3, M4A, AC3, AAC, AIFF, AU, FLAC, M4R and MKA. Customize output song bitrate, sample rate as you like. Metadata including Title, Artist, Album, Genre and Artwork will be preserved to output MP3/M4A songs. How to play DRM-free Apple Music songs on Android TV? Store the output DRM-free Apple Music songs to a USB drive or external hard drive. Plug the USB drive or external hard drive to your Android TV's USB port. You may need a micro-USB to USB adapter if your Android TV only has micro-USB port. Navigate to the songs and play them. The free trial version allows you to convert each song for 3 minutes. To remove the limitation, please purchase a license.